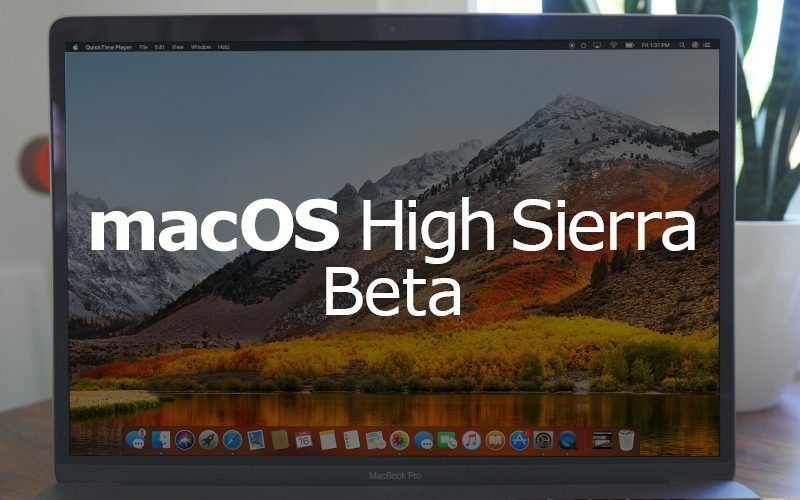 Apple today seeded the fourth beta of an upcoming macOS High Sierra 10.13.6 update to developers and public beta testers for testing purposes, one week after seeding the third 10.13.6 beta. The new macOS High Sierra 10.13.6 beta can be downloaded through the Software Update mechanism in the Mac App Store with the proper profile installed. We don't yet know what improvements the sixth update to macOS High Sierra will bring, but it likely focuses on bug fixes and performance improvements for issues that were not able to be addressed in macOS High Sierra 10.13.5. No feature changes were discovered in the first three macOS High Sierra 10.13.6 betas, but we'll update this post if new features or notable bug fixes are discovered in the fourth beta. Work on macOS High Sierra is wrapping up, with Apple now shifting focus to the next-generation version of macOS, macOS 10.14, which was unveiled at the Worldwide Developers Conference in early June. How’s hs so far? Stable? I’m on sierra. is blurry pdf issue still exist ? 2.47 GB, wasn't the last one quite a bit smaller? Yes. This is because it downloaded the combo this time. Did for me too. There is a delta for beta 4. Not sure why the combo downloaded this time. Combos usually only download if you have skipped some point releases, eg going from 10.13.1 to 10.13.6. Whereas if you go from 10.13.5 to 10.13.6 or an earlier beta of 10.13.6 to a later one then we would expect the delta to download. As well as overall size, you can tell which one you are getting by looking in the folder /Library/Updates as it downloads. If you see folder 091-90757 you are getting the combo. If you see 091-90756 it is the delta. Don't bother looking if you've already installed it - these folders delete themselves after installation. You have to look AS IT DOWNLOADS BEFORE IT INSTALLS. For public releases it should also say "Combined Update" in the mac app store if it is a combo - but it didn't this time for this beta. The Mac is in a sad, sad state. Immediately after installation and restart there was no wifi. It was turned off and nothing happened when attempting to turn on. So I again rebooted. Seems okay now but has only been updated for 5 mins so time will tell. Did a fresh install a week or so back from Sierra after holding out due to the bugs and the compatability issues which inevitably plague various dev tools. Can happily say I’m pleased to have made the switch as High Sierra seems just as fast, if not slightly faster and a lot of the niggles I had with Sierra are gone. No issues with APFS although if I were you I’d go for the fresh install and transfer content rather than an in-place filesystem change.